Greta Sykes writes, and shares the work of five of her favourite female Russian poets. Being both a poet and an artist myself I am very pleased that the The Psychologist has announced its annual poetry competition, while the review of the Russian Art exhibition was most welcome to me. Both forms of art found powerful expressions during the early years of the revolution. I am particularly interested in the work of women writers and poets and how their emotional responses found expression in their work during the upheavals of the time. Some people have found similarities between religious entrancement and the socialist belief many people experienced then. At the same time poverty, war and starvation continued for several years. The poetry and letters of the women allow us an insight into the extremes of human emotion, from ecstasy to despair, from deep joy to a sense of loss. At the time the demand for bread by the women of Petrograd on the 8 March 1917 – International Women’s Day – combined with an industrial lockout in the Putilov metalworks led to a general strike. This in turn brought about the abdication of Tsar Nicholas II. ‘Just think what extraordinary things are happening all around us. Such things happen only once in an eternity’, says Yuri in Boris Pasternak’s Dr Zhivago (1957). The seismic event of hope for peace and progress unleashed huge energies in the arts. At the same time hunger and poverty, war weariness and fear engulfed the lives of many people. The works of individual poets and writers illustrate how the context of the revolution combined with the individual creative urge and political perspective gives rise to highly emotive and moving stories and poems. Besides feelings of loss many artists and writers have described a sense of ecstasy in their work. McBride (2016) suggests it involves one or more of the following:intense joyful sensation, euphoria, rapture, elationfeelings of unity and oneness with one’s environmentaltered or detached perception of space and time a sense of profundity and release from mundane reality. The story of five women’s work is offered below, as an invitation to explore deeper into the richness of experiences lived through at the time. Nadezhda Lokhvitskaya, started calling herself Teffi in 1907 based on the name of a clown she knew, when publishing her one-act play ‘The woman question.’. She was born in 1872 in St. Petersburg into a family keen on literature and her sisters also wrote poems. While she worked for the Bolshevik newspaper ‘New Life’ she met Lenin who enjoyed her work as did the Tsar. Blessed be your name, slaughtered Russ! And with the same hand make the sign of the cross. (Chandler et al, 2015). Living far away from her homeland Teffi expresses her sense of loss and love for Russia and its suffering through war and famine with warmth and compassion. Yet she could also speak with an observant eye of people she got to know. Meeting Alexandra Kollontai one day she comments: “When speaking at a women’s forum Kollontai began her speech with the words ‘I don’t know which language to use in order to make myself understood to the bourgeois women here. And there she was on the platform, wearing a magnificent velvet dress with mirror pendant on a gold chain that hung to her knees.” (Chandler & Jackson, Rasputin, 2016). 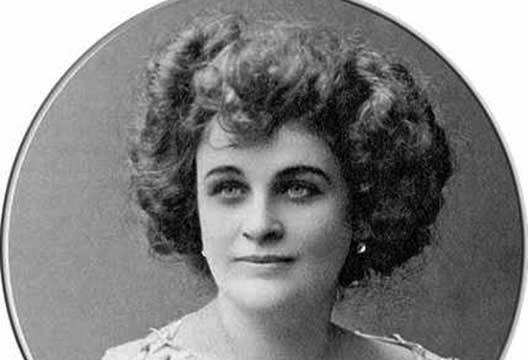 Teffi was an ardent supporter of the revolution and very popular in Russia. She had candies, candles and perfume named after her. Leaving St Petersburg for Moscow with starvation all around her she accepted an offer to work in Odessa, hoping to return to her ‘beloved Moscow’. But she never returned. She writes in one of her sketches that she felt ‘as if somebody had shuffled the pages of a diary, mixing up the tragic entries with stories so ridiculous that one can only shrug in disbelief’. Although experiencing a sense of loss and disappointment with the revolution she is able to observe people’s behaviour with a sharp socially critical eye. In Kiev, still under German control, she watches a man berate a waiter for bringing out his steak before his fried potatoes: “This whole scene is a gift to the Bolsheviks. Doesn’t the man know how lucky he is to eat steak and fried potatoes, any order?” (in: Teffi, Memories, 2017). Her focus is throughout on the resilience of mainly women. She tells us about one woman who boasts about making dresses from medical gauze. They all learn to make underwear from tracing paper. The sight of so many haggard and emaciates soldiers lets her feel her “soul’s threads to the earth have snapped, leaving her alone with the black, empty, round earth and the boundless starry sky”. Tsvetaeva was born in Moscow into an artistic middle class family. She spent the war years in the Crimea together with many poets and artists. She left the Soviet Union in 1922 with her daughter Ariadna and a son. She met up with her husband Efron in Berlin. She kept a journal and wrote about her journey: “In the air of the compartment hung only three axe-like words: bourgeois, Junkers, leeches." While in Berlin she published the collections Separation, Poems to Blok, and the poem The Tsar Maiden, much of her poetry appeared in Moscow and Berlin. Later on that year the family moved to Prague. Unable to afford living accommodation in Prague itself, with Efron studying politics and sociology and living in hostels, Tsvetaeva and Ariadna found rooms in a village outside the city. She writes "we are devoured by coal, gas, the milkman, the baker...the only meat we eat is horsemeat". When offered an opportunity to earn money by reading her poetry, she describes having to beg a simple dress from a friend to replace the one she had been living in. Tsvetaeva began a passionate affair with Konstantin Boleslavovich Rodzevitch, a former military officer, a liaison which became widely known throughout émigré circles. Her break-up with Rodzevitch in 1923 was almost certainly the inspiration for her “Poem of the End” and "The Poem of the Mountain". Throughout this time she maintained her relationship with Efron. While living in Paris among the emigrees Tsvetaeva engaged in intensive correspondence with Rainer Maria Rilke, the German poet. Rilke was a German Orpheus to her. He sent her books from Pasternak who she also corresponded with. In August 1926 Rilke stopped answering her letters. She learnt of his death in December 1926. The following poem was meant as an answer to Rilke’s question what will the room be like when we meet. On the twenty-ninth, on Wednesday, into the mist? She wrote requiem poems for other poets, such as Mayakowsky, Maximilian Voloshin and Nikolai Gronsky. An open letter to Mayakowsky which caused her to be branded as pro-Soviet by the emigrees who started to ostracise her. Any mention of Mayakowsky was a red rag to a bull in the émigré circles in Paris. Two and a half years after his death in April 1930 Tsvetaeva wrote: “Without him the Russian revolution would have suffered a grave loss, just as Mayakowsky would have been the poorer without the revolution”. Tsvetaeva went home to Russia after 17 years abroad and was given accommodation in a writers community home. People were irritated by her return with her Parisian handbag, scarf, notebooks. They said: The white guard lady has returned. She did not fit in any more, but she also had not fitted in with people in Paris. She was alone. Some of her poems appear in Chandler et al, 2015.
Who have not seen your Russia my child. The desolation of these poems speaks eloquently of her lonely suffering at having lost all sense of community and belonging. Larissa Reisner was a woman of great personal courage and willpower and dedicated her entire life to the revolution. She was brought up in a professional family and had an excellent education. She broke away from the established isolation of her class and devoted her energies to the revolution. In the summer of 1918 she was in the Volga region, taking part in the battles of the Civil War. She went on reconnaissance with Red Sailors, secretly entering the city of Kazan, then occupied by the White Guards. She represented the young Soviet Republic at various diplomatic functions held by the king of Afghanistan. She was a commissar of the Naval Headquarters in Moscow. ‘The front’, ‘The barricades in Hamburg’, ‘Coal, iron and human beings’ were some of the pieces she wrote. Vladimir Sevruk (1973) describes the lives of young communist writers who were active in the revolution. They most clearly experience the feelings of ‘secular ecstasy’ McBride (2014) describes when defining it: Feelings of unity and oneness with one’s environment and rapture. One of Reisner’s pieces is called ‘The front’. Nineteen year old Lusik Lisinova was a student at the university, writes Sevruk (1973). She was one of the organisers of the Union of Working Youth. She helped to build barricades, tended the wounded and carried messages for the Red Army when she carried out Party assignments among the workers of Moscow. She was killed by counter-revolutionary forces a day before they were crushed in Moscow. Her coffin was carried through the streets on crossed rifles. Lisinova, a writer and soldier of the revolution, was buried by the Kremlin Wall in Red Square. On May 9, 1917 she wrote a letter to her sister. Here Lisinova offers a profound example of the sense of oneness with nature, as described by Laski and McBride. It arises out of her belief in the revolution and her own work and its effectiveness together with her comrades. “We buried Lusik yesterday…on Red Square. Yesterday was a bright sunny frosty day. Heading the procession was a standard bearer. The district Party banner waved proudly in the wind, its silk shining. Workers of the World Unite. The red cloth beat and flapped in the wind and at times unfurled so triumphantly it sent a shiver down your back, with the band playing a march behind us…it was awesome…” Sevruk, 1973). Sofia Parnok was born in the southern city of Taganrok on the Sea of Azov into a professional family. She studied music in Geneva and law in St. Petersburg, but decided to devote herself to poetry. In 1914 she met Marina Tsvetaeva and they fell passionately in love. In their case ecstasy became an intense joyful sensation through their love. Both wrote poetry about their lesbian love more directly than anyone had done before them. She founded a publishing co-operative called the Knot which brought out two of her volumes. The Knot closed down in 1928. She mainly continued to write critical essays and translated poems by Baudelaire and some novels. Her last poems, quoted here from Chandler et al, 2015, were mostly addressed to the physicist Nina Vedeneyeva. Chandler, R., Dralyuk, B. & Mashinksi, I. (2015). The Penguin book of Russian poetry. Penguin book. UK. Chandler, R. & Jackson, A.M. (2016). Rasputin and other stories. Pushkin Press. London. Jackson, A.M., Chandler, R., Chandler, E., Kitson, C., Steinberg, I. & Wase, N. (2016). Teffi: Subtly worded and other stories. Pushkin Press. London. Laski, M. (1961). Ecstasy: A study of some secular and religious experiences. Los Angeles. Jeremy P. Archer. McBride, R. (2014). Secular ecstasies. The Psychologist, vol 27 no 3. Pelz, W. A. (2016). A Peoples’ history of modern Europe. Plutopress. London. Sevruk, V. (1973). The Young in the Revolution. Progress Publisher. Moscow. Teffi (2017). Memories: From Moscow to the Black Sea. Translated by Irina Steinberg and Anne Marie Jackson. Pushkin Press. 2017.